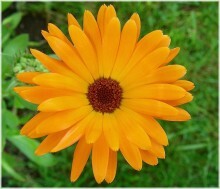 Calendula oil contains vitamins and protein. Calendula oil is beneficial for dry and dehydrated skin. Suitable for problem skin.